Pink is the cutest color in the palette. It is one of the pleasing colors that will capture your attention and will soothe your eyes. This ebullience color is always on the trend list because of its versatile nature. From adding a few pink colored décor elements to focusing your entire wedding décor on pink, you can have so much fun while planning your decor. You can even incorporate this fetching color in your outfit, jewelry or accessories. 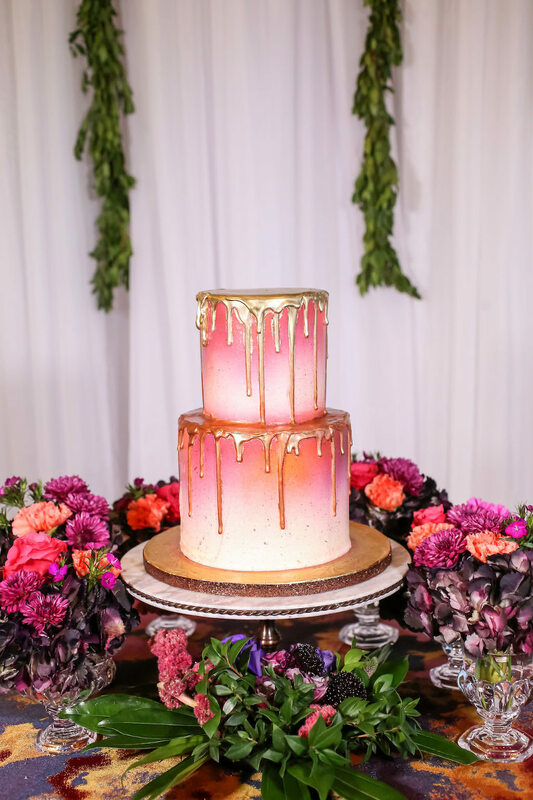 If you have your heart on this color and want to have a dreamy pink theme for your wedding than we are here to help you. We have rounded up the options where you can introduce pink color. 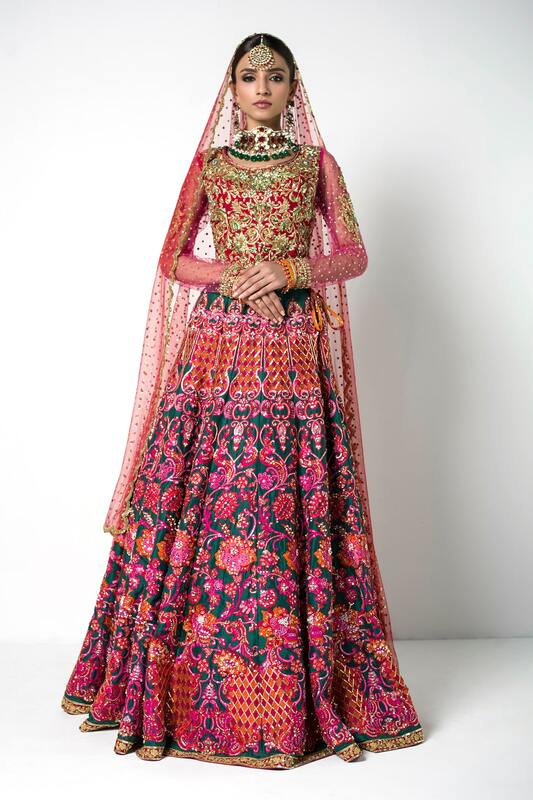 After red, pink is the color that is often associated with brides and bridal fashion. Lemonade pink to shocking pink, the palette offers a wide range of hues that you would love to have in your bridal dress. Don yourself up in your favorite shade of pink. As pink being the dearest color for designers, you can easily find many bridal dresses in this appealing color. 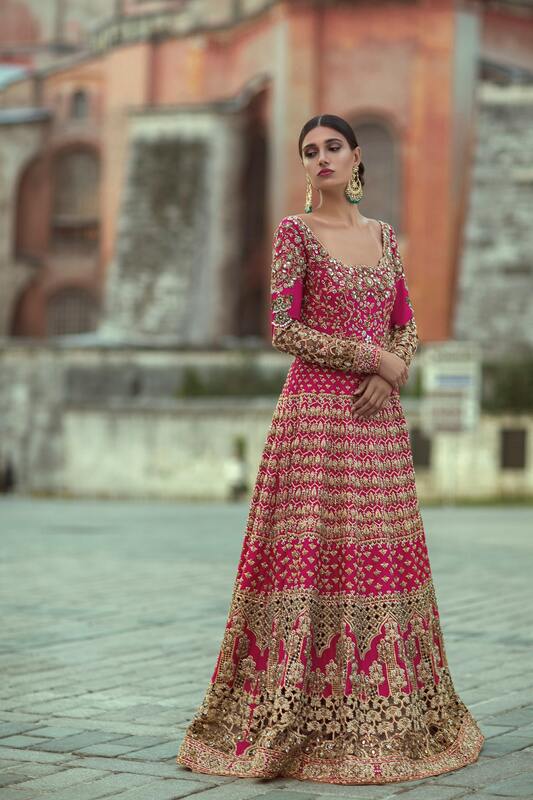 Check out Umar Syed’s bridal collection, even Nomi Ansari has some of the amazing pink ensembles. 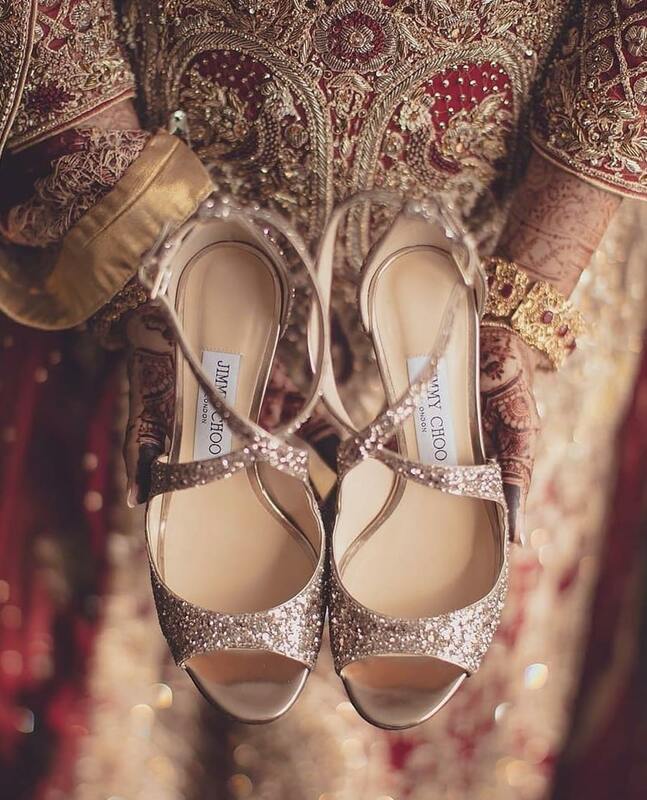 If you are picking a pink bridal dress, then there is no point of not wearing coordinated heels and accessories with your pink bridal dress. 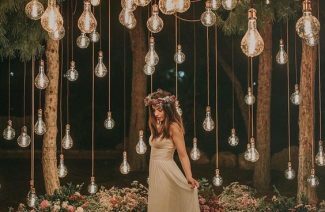 A bride wearing pink floral jewelry with her subtle bridal dress sitting on a swing against a floral backdrop, what a scenic and divine view it will be for your guests. 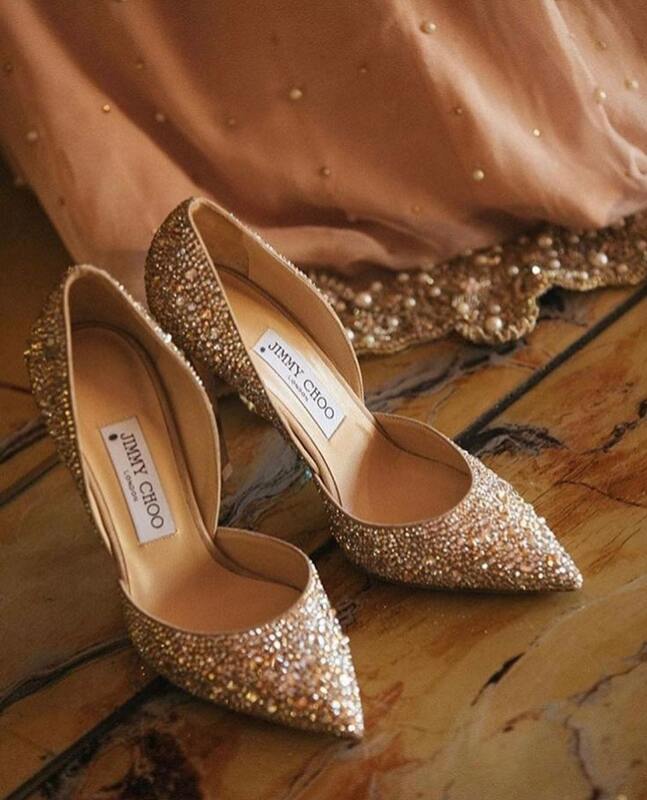 Jimmy Choo offers a beautiful range of bridal heels; you can easily find rose gold heels for your nuptials. The wedding table décor always gives a lot of room to experiment. We love how brides are going for a white tablescape with pink roses as their centerpieces. Keeping it minimal and simple will definitely elevate your décor. If you are using a pink-colored table cloth, then we suggest you use the lighter shades of pink like blush, crepe or lemonade. 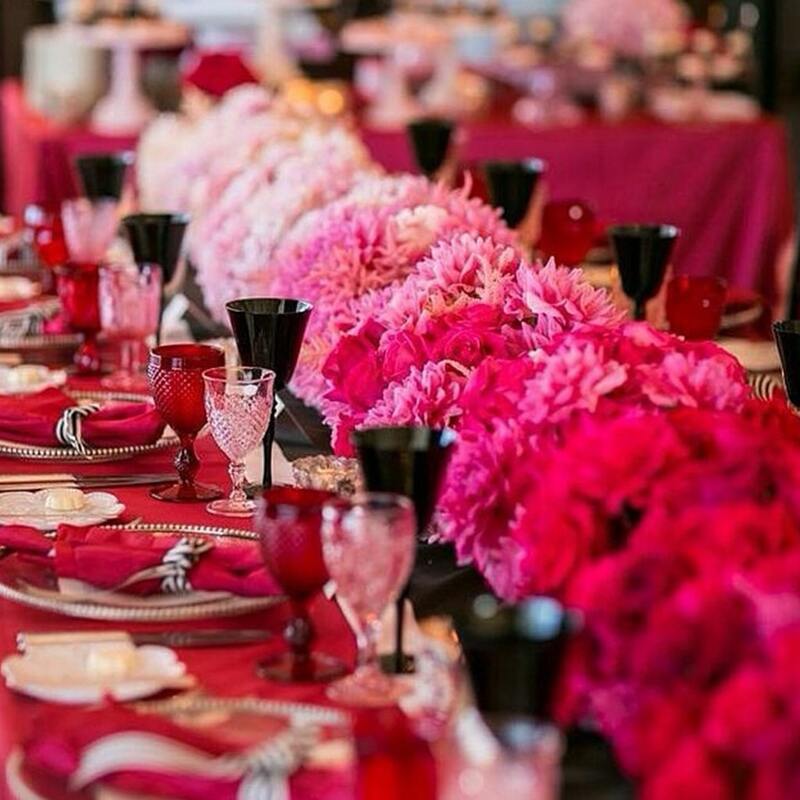 Going for darker shades of pink will overcome your other table décor elements. So, choose the shade wisely. 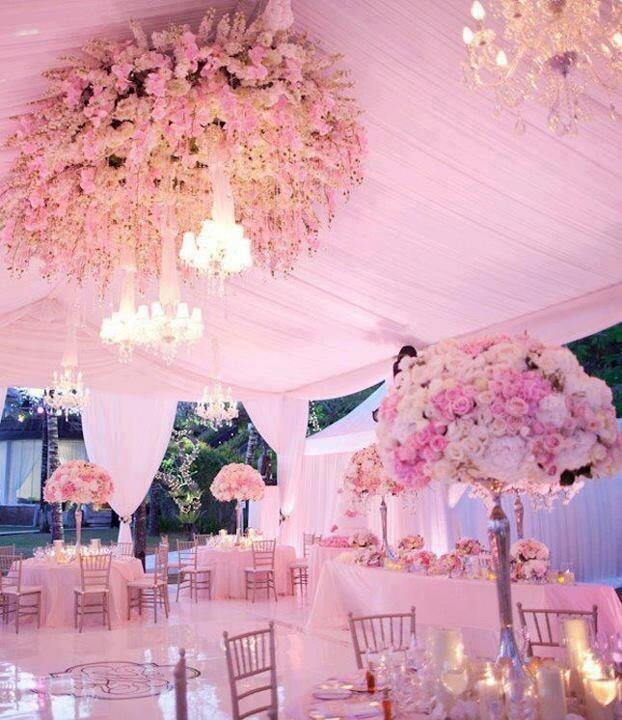 Different shades of pink create a heavenly and gorgeous atmosphere for your guests. The pink roses for the backdrop always bring fairyland vibes. 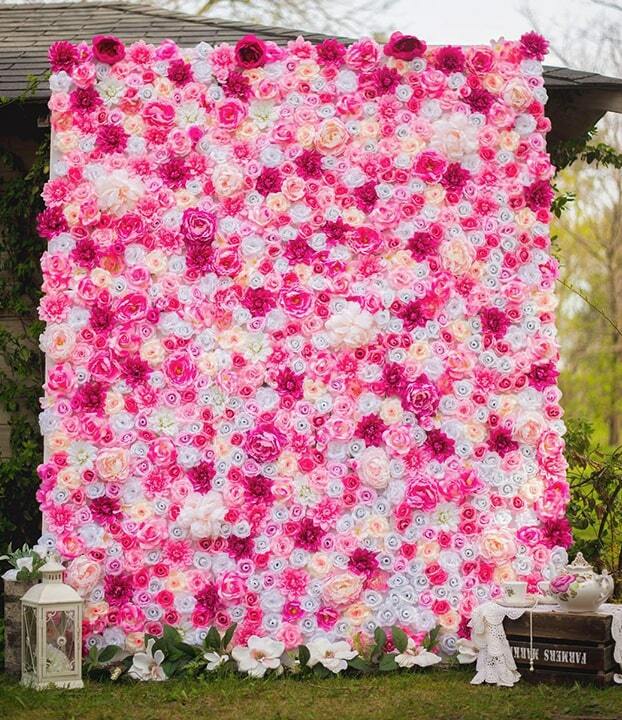 Floral arches are our favorite and we are not saying anything any further because only romantic couples can understand the essence that floral arches bring to the venue. There are numerous ways to incorporate this color into your décor, from hangings to lighting and every tiny pink detail will transport you to the magical land. Wedding cakes are the most cherished and savored aspect of the wedding because of the romantic charm they add. 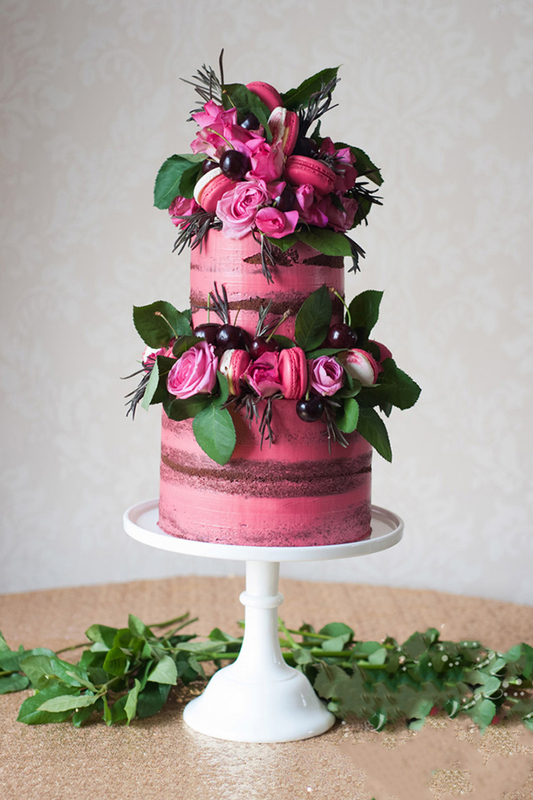 When it comes cakes, nothing will attract your guest’s attention more than a beautiful spectacular pink wedding cake. Look out for more inspirations for your tasty visual treat. 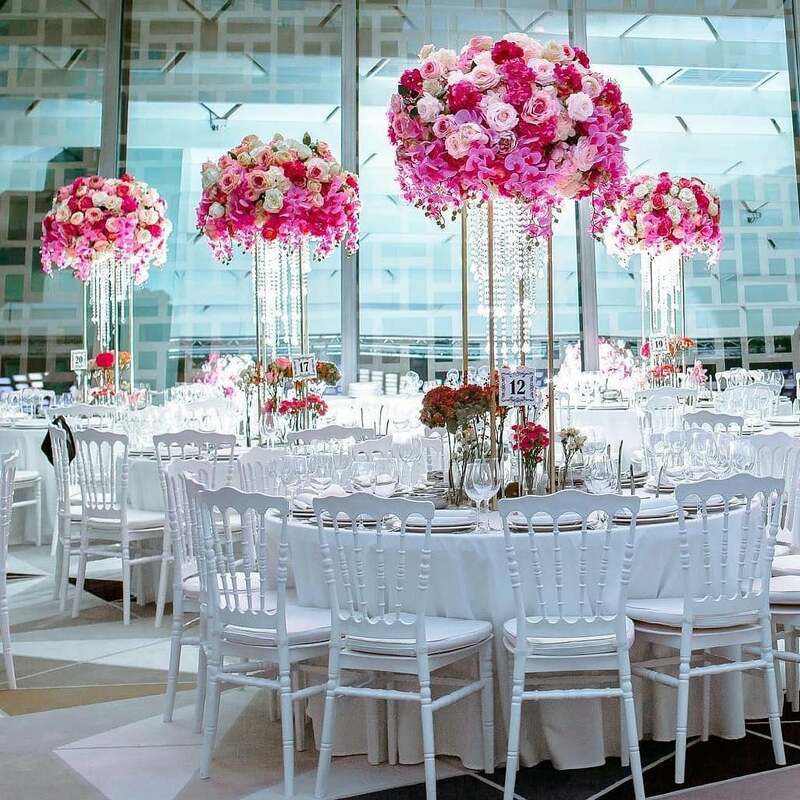 These are some of the amazing ideas that you can follow for your pink themed wedding. 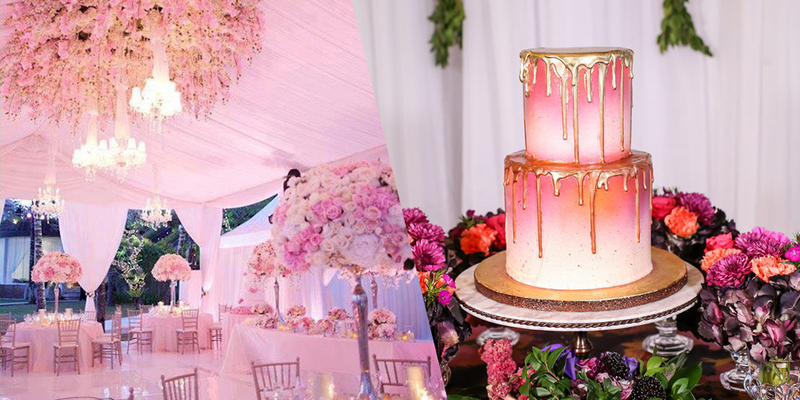 11 enchanting ways to add the sweetness of 'Pink' To Your Wedding. These are some of the amazing ideas that you can follow for your pink theme wedding.